Step 2) Apply Pure Henna: Set the Base & Prepare the Canvas. Apply the Pure Henna to your squeaky clean hair. Wait set time. Rinse. Sets the warm-colored base and begins entry into the hair protein. Henna primes the hair and allows Indigo to bind richer, deeper, & darker to hair. Step 3) Apply Pure Indigo: Bring on the Dark Side. Apply the Pure Indigo to your freshly Hennaed hair. Wait set time. Rinse. Deep cool-hued blue pigments fuse with the warm henna base. The result? Long-lasting super-rich jet black hair. Healthy. Radiant. HEY!—We included enough for a couple applications (shoulder length hair). TWO Pure Henna Hair Dyes. TWO Pure Indigo Hair Dyes. A complete 100% Natural System that richly blackens any hair type or color. Pour HENNA powder into bowl. One packet colors straight, shoulder length hair (approx). Add hot, not boiling, water (approx 122º F) gradually to the powder. Note: There’s no exact amount of water to add. Add little at a time to get an applicable paste consistency. Similar to pudding or ketchup consistency. Prepare hair for dye treatment. Divide hair into four sections: Front, L&R sides, Back. Apply directly to hair using gloved hand or hair dye brush. Using gloved hand, scoop & apply the paste on back section (if crumbly, add water). From root of hair, work evenly to top of hair. Try for complete, even coverage. When done, cover head with included plastic cap. Leave on for 1 hour. Note: Longer = Deeper Color, Better Conditioning. NOTE: If very thick curly hair, you may require conditioner to help rinse out dry henna (use light-weight conditioner). Rinse out conditioner completely before adding Indigo. Pour INDIGO powder into bowl. One packet colors straight, shoulder length hair (approx). When done, cover head with included plastic cap. Leave on for 30 min to 1 hour. Note: Gray or stubborn hair, leave on for full hour. Rinse out thoroughly (NO Shampoo) until all product removed. Remember: It’s natural, no added perfumes. The pastes have earthy plant-based scents. You can add fragrance oil or personal perfume to hair after completely rinsed out & blow-dried. Avoid shampooing for 24 hours. Avoid leave-in conditioners for at least one week. Henna/Indigo will take up to 36-48 hours to express true colors and undertones. Undertones can range from green to blue before fully maturing. Very normal. If you missed spots or messed up, you can reapply as often as you like. It’s 100% natural! I am a black woman who has been using rinses and dyes to cover my grey for the past 20+ years. This 2 Step Super-Rich Black Hair Bundle is the best all-natural hair condition, repair, shine, and color product I have seen. My hair was thinning and my scalp was flaky and dry from using dyes and relaxers. This henna bundle colored all of my grey hair, thickened my hair and gave it body, and made my scalp healthy again. I receive compliments about my hair everywhere I go. By the way, may I say your product is amazing. I was just about to give up on using henna altogether, too much time involve and inconsistent results. The mixing was smooth and the fact that I didn’t have to leave it on my hair for hours really will and did make a big difference in my life. I have to use the two step process and I was able to do my hair on a Friday night from start to finish. This is the best henna on the market! A new customer for life! I decided to color my hair using Henna due to my sensitive scalp. This is the first time that I have ever used henna and the results I got from the ‘Black Hair Bundle’ was absolutely amazing. My hair is just below shoulder length, so I ended up using 2 x packets of the pure henna for the first step and 2 x packets of indigo for the 2nd step . The instructions included in the shipment were clear and concise and the best part was I did not have to let the pure henna (or indigo) sit for 6-hours or over-night before applying to my hair. It just cuts down on the whole process unlike other henna products you read about on-line. I do suggest that you use Wen cleansing conditioner to help with the removal of the henna, rather than plain conditioner as described in the instructions. Since Wen is a cleansing conditioner and NOT a shampoo, you are able to cleanse, condition and remove the henna all at the same time without tugging your hair. After I removed the henna and blow dried my hair, it felt much thicker and has a lovely deep rich black color and amazing shine. I can’t say enough great things about this product. The Black hair Bundle is great value for money and I will definitely purchase again. I’ve used henna and chemical hair dyes over a number of years. I’ve never been happy with results using henna (I’ve tried regular henna and also pre-made “bricks” from a competitor). I’m also not at all happy about using toxic chemical hair dyes either. However, from an autoimmune illness my hair had become grey overnight (yes, this does happen despite what others say). It was a sudden onset of pre-mature greying. My co-workers and classmates reacted in shock to see this new appearance. Even strangers would approach me to comment because I’m young and they cannot believe that hair can be so grey. I didn’t want to dye my hair but from the number of times people would comment, it started taking a toll on my self esteem. First I started dying it only three times a year, then it became more often. My hair started thinning out, scalp becoming damaged, and hair rapidly becoming more grey. It got to a point where I had been dying my hair 1-2 weeks because the color would just fade. After my last chemical hair dye treatment, I decided enough was enough. I researched what could contribute to pre-mature greying (underlying celiac’s disease or gluten sensitivity, high sugar consumption , enzymes http://www.ncbi.nlm.nih.gov/pubmed/15623346 ) so I recently started on addressing those areas. But, my hair still needed help. I stumbled upon Henna Color Lab, watched numerous YouTube videos on henna and decided I was going to give henna another try. I first prepared the Hair Color Lab henna, mixed with coffee instead of plain water and apple cider vinegar and let the mixture sit over night. I applied the henna and rinsed it out after 3 hours. I was so shocked at how orange my hair was, even more so shocked just how much grey hair I actually have (it’s 50% grey). I looked like a pumpkin and was on the verge of tears. I prepared the indigo mixture immediately after washing the henna out. The indigo was on my hair for 2 hours. The mixture turns green to blue, blue like you would not believe. It’s kind of cool. I was afraid of the results would be after I washed my hair, feeling immensely hopeless. But, once I removed the towel from my head I was SO surprised. I really couldn’t believe that my pumpkin stained all white hair has turned into a lustrous shade of black. It covered the temples really well, and definitely will need another application but to achieve this result without boxed chemical dyes, or a trip to the salon is unbelievable given henna and indigo are 100% natural. I’m completely regretting putting myself through all those years of chemical dyes, and wish I tried this much sooner. The ONLY downside of the henna process is the time it takes to apply and rest (it is literally a full day affair for a two-step process). It is very messy, so be sure to lay towels down on the ground, on the counter, and wear clothing you don’t care for. I wish Henna Color Lab would open up hair salons just for this. If you have stubborn grey like I do, give this a try. I think it’s worth not poisoning our bodies for. I’m Asian, and started to have gray hair since I was in high school and now in my mid 40s the gray has grown more and started to bother me a little bit. I started coloring my hair about 3 years ago with henna and nothing else. I’ve used the block henna but it only covered my grays about 50-60%. Today, I used the 2-step Black Hair Bundle and was very pleased and excited with how it came out!!! My gray is pretty much gone !!!! I know I’ll be using it again and will recommend it to my friends! The downside is the mess with applying it but compared to the block henna, this was easier to prepare and apply and a lot easiers to rinse off. THANK YOU FOR SUCH A GREAT PRODUCT! AWESOME PRODUCT! I went with a henna + indigo treatment because I have naturally sandy-brown hair, and wanted an extremely dark shade approaching black, but without looking fake, flat, and cheap like many dark commercial chemical colors. This gave me the perfect dimensional deep brown/black, and it looks natural! I’m so pleased! Will definitely be using this again, and maintaining the current shade. I’m Indian with dark brown, almost-black hair that’s now, sadly, going gray. 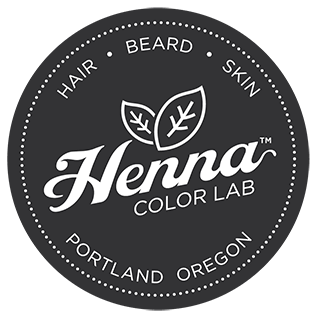 I want to stay all natural and, if possible, inexpensive (henna color lab is both!). I tried the “dark brown” mix and liked it–very nice color, but my grays were looking kind of light red/brown (better than white!). So I bought the two-step black bundle. Wow! Just like that, all grays are completely gone, right to the root. The color is still warm and brownish, not jet black as I had feared. I left the henna on 2 hours and indigo on an hour, and I may next time only leave the indigo on for 30 min (to make it a little more brown, less black still). Since my grays are in the front and top of my head, I don’t have to cover ALL my hair, so this bundle will last me a while. And it’s super conditioning. I added a little lemon juice to the henna, and some salt to the indigo. With straight hair, I don’t use conditioner to rinse it out, just water. I’d upload a pic here if the finished hair if you guys had the capability! This kit is perfect. The whole process was way simpler than I anticipated because I actually kept to the recommended leave-in times. I used the wine red henna four years ago and the color was brilliant but the process of rinsing out was miserable. I realize now, that was because I left the henna in my hair OVERNIGHT. Not a good idea, people. Anyway, I followed the instructions this time around. The rinsing was SO much easier and the deep natural black color is just as brilliant! Since I have breast-length curly hair, I had to use the whole kit at once, and I found the indigo more difficult to apply than the henna; simply because it was grainier. Since my hair was a burnished blonde color before this process (my natural color is medium/dark brown), I was worried the end result would turn out a bit green, but it doesn’t look green at all! There are certainly little light reflecting strands in there, but you can only see them in direct sunlight. The rich black is EVERYTHING!! All in all, it was definitely a longer process than standard hair dye box kits, but the health, color, and shine my hair has afterwards is SO worth it. A wonderful product indeed!! I am Asian with long, very thick and very very course black hair. I am a believer for this 2-step process for rich black hair. My stubborn silver gray here is no more, atleast for awhile, cant’ wait to see how long they last. I applied the henna first as intructed. After I washed the henna and dried my hair, I thought oh my god, my gray hair is yellow orangy, but after I applied the indigo, all my gray hair are now black. It totally covered my gray hair 100 percent. This is a keeper, but I will still use the other color like dark brown to cover my gray hair when I feel like having brown color on my gray hair. Thank you henna color lab. Truly 5 stars. I have brilliant white hairs sprinkled in my naturally black hair, and the two step covered them all beautifully. This was the first time I’ve colored my hair myself, and the process wasn’t too onerous. The henna mixed up well (I used lukewarm water and a healthy squirt of lemon juice, then applied plastic wrap to the surface and let it sit for about an hour while I washed my hair and got prepped). It applied very evenly even though there appeared to be big chunks in it. I left it in for 2 hours and the color was dark red and beautiful on the white hairs, pretty enough that I almost stopped there! The indigo smelled like peas, and had a crumblier texture after mixing with water (hot tap water and a pinch of salt this time). It still went on pretty easily, but definitely was much messier, leaving blue all over the sink and bathtub (it scrubbed off no problem). I left that on for one hour, but found that it started “melting” after about 40min (dark blue liquid was rolling out from under the cap, very messy!! ), requiring a towel around my neck. It was also much harder to rinse out, but the conditioner helped get most of the leftover crumbs. The finished color was a nice even black, not too dark, and very natural looking. The indigo smell did hang around for a couple of days, which I didn’t particularly enjoy, but overall, I was very pleased with the kit. Shipping was fast, and customer service answered my application questions within 10min! I am a black women with very thick, curly, very dark brown hair. I was starting to get come greys and didn’t want to use harsh chemical dyes as I have worked hard to grow my hair out this thick. I used this Super-Rich Black Hair bundle and loved my results. A few suggestions for others though: (1) this process is a bit messy. I would highly suggest getting a squeeze application bottle and cutting the tip so that the product can flow freely and you can have more control over the application process. (2) As the directions say, it could take up to 48 hours to see the full results. I would suggest, as do the instructions, to leave the henna on for the longest recommended time as the indigo needs to bind to it to create the jet black look. The back of my head came out jet black because I started my application there and used alot more henna then I did in my front. Really drench your hair with the stuff to get an even coating. All in all I liked my results. I will need to do another application as the front of my head is not completely jet black like the back. So happy this is natural. Please be patient though with the darkening process. 48 hours tops. Best of Luck! I started using henna to cover gray in my hair about 1yr ago. I have gray mostly up front. I don’t like the time, expense, or heavy use of chemicals that would be required with chemically processed color. Henna Color Lab was the answer for me. I originally started out using medium brown, and it made the gray less noticeable. The gray became orangey, more like a highlight. I moved on to using the 2 step process for better coverage. And it was indeed a better balance for me. I am about 10% gray. I left the pure henna on for 1 hr, the pure indigo for 1 hr too. It came out great! My hair is shoulder length, naturally curly, a tiny bit coarse, so rinsing out can take awhile. To cut down on the amount water used in the process I have found it better to rinse in the tub. I just slide down, put my head back, and massage my scalp. It’s a bit akward, but I never could get a great rinse in the shower with my type of hair. Totally worth it for me. Good luck with your hair journey ladies & gents! Love it!!! My hair is shiney and soft!! Long story short I absolutely love Henna Color Lab, in no small part because of their amazing customer care. I’d recommend it to anyone. I’ve been using their hair colors for a year now, from dark brown to mahogany to natural black, and I’ve learned a lot. First of all henna is a miracle for split ends and shine. Second, it’s an absolute mess and a pain to apply (worth it R.I.P my tub). Third, my hair hates indigo. I had a huge problem with it running off on everything I owned turning everything, including me, blue. Because of this the first time I tried the Natural Black color it barely turned my light brown hair a shade darker, and the second go I had to endure watching the beautiful cherry black disappear tragically fast. This story has a happy ending though! I knew the problem wasn’t damage because my hair is virgin aside from this year of henna fun and the fading starts at the roots where my hair is obviously freshest. It also wasn’t running from heat or sulfate shampoo because I don’t use those anymore. Plain and simple some hair just hates indigo. So I put my faith in the company and sent an email asking for help. They got back to me scary quick and recommend this kit plus a few tricks to really get that indigo to bond. Over a month after I’ve used the kit and I can definitely confirm their advice was just right. I experienced minimal run off and the color is beautiful. It’s not jet black for me but a deep cherry black that shines and shifts in different light. And as always, my extra long hair looks so healthy from root to tip. Thank you Henna Color Lab, and to everyone trying this happy hennaing and don’t give up!